Venture out of the city with trips to Caversham Wildlife Park (in Whiteman), Mandurah (Dolphin & Whale Watching & Waterskiing & Jetskiing) and Rockingham (Rockingham Beach & Penguin Island). 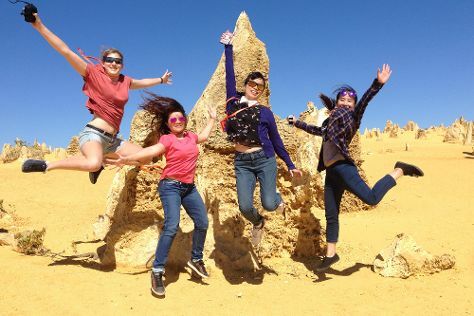 On the 26th (Sun), spend an enriching day with Explore Tours Perth. On the 3rd (Mon), give your taste buds a day to remember with a local gastronomic tour. There's lots more to do: contemplate the waterfront views at Swan River, kick back and relax at Cottesloe Beach, browse the eclectic array of goods at Fremantle Markets, and get engrossed in the history at Fremantle Prison. To find reviews, ratings, where to stay, and tourist information, you can read our Perth vacation builder tool . In May, plan for daily highs up to 25°C, and evening lows to 11°C. Finish up your sightseeing early on the 7th (Fri) so you can travel back home.